Most of my day was time put towards changing my stupid head light that burnt out. 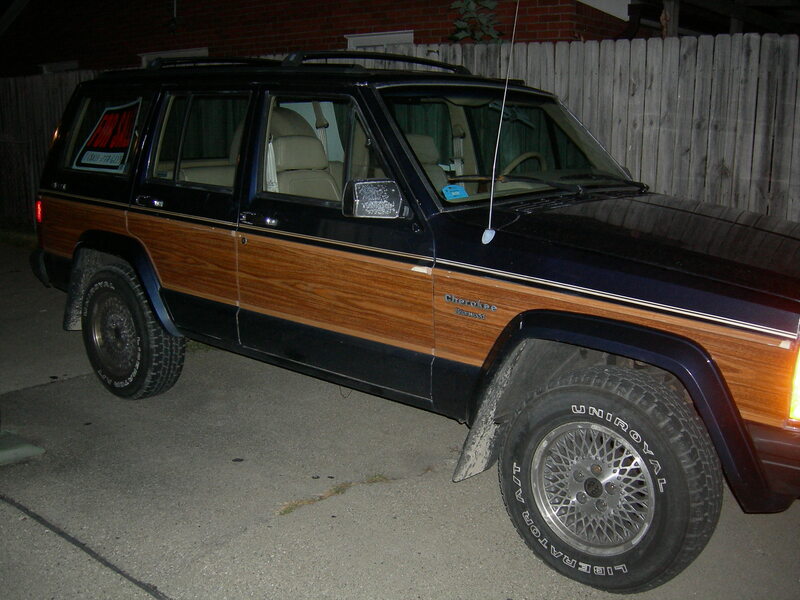 I have a 1991 Jeep Cherokee Briarwood (which means it has wood paneling on the side). The reason I am telling you this is because you realize (if you know anything about cars) that the light bulb is not changed easily by just raising the hood. Jeeps made back then, you have to go though the front which is torturous in the freezing cold. Plus my screws were staring to rust and even with a ton of WD-40 it was still hard to not to strip them. We got the light back in the car and it works it is just a bit tilted. I think that is good enough for now, it works and I won’t get a ticket, done. Then I went climbing, which was awesome. I felt like I hadn’t climbed in weeks even though I had. At Wayne State’s rock wall, were I climb they had just recently had a competition. Which means new routes! I was super stoked and I climbed a few 5-10s with little difficulty. Either they are making easier problems or I am getting better. That left me feeling fairly confident. I decided to lead a few routes for the first time. They were 5-7s, but still. I did not get as nervous as I thought I would. I think it was because I knew that I would not fall. I am kind of disappointed that I did not fall, because I really want to get that over with. Another reason for my confidence I would have to say the way is only 25 feet up, so not really that high at all. It is a very good place to learn. Oh YouTube ( Admittedly, this video is kind of bad, but here is an idea of what the I am talking about). Posted by jaqviva on December 15, 2010 in Adventure and tagged 1991 Jeep Cherokee Briarwood, climb, Dave, Jeep, lead climb, Wayne State's Rock Wall, YouTube. Just another runner/climber trying to start her own sportswear company. Searching for the right path with purpose. LIFE!!! I'm so excited!